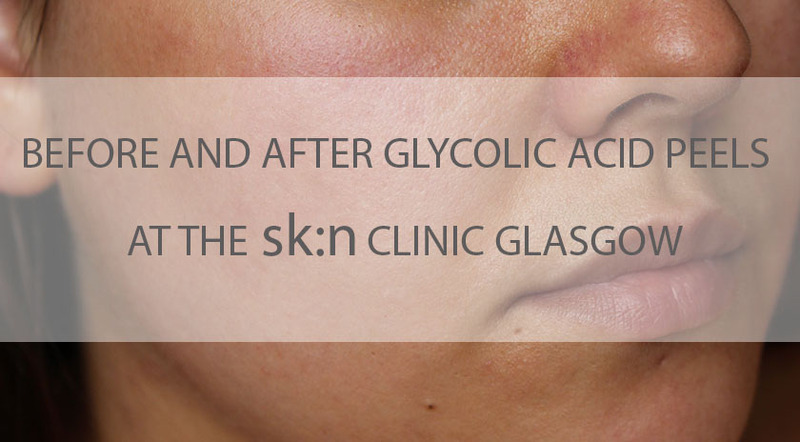 I already wrote about my consultation at the Sk:n Clinic Glasgow HERE and I had 4x30% peels since then. I had the peels 2-3 weeks apart. As usual, I am going to be 100% honest with you. The peels weren't uncomfortable at all and I haven't experienced any discomfort or stinging. After a quick cleanse, the peel was left on my skin for 10 minutes (15 minutes during my 4th peel) and neutralised with a neutralising solution, which wasn't uncomfortable either. I only felt a slight tingling sensation. After the peel was removed, a moisturiser was applied and I was ready to go home. My skin was a bit red immediately after each peel, but it was back to normal within 30-60 minutes and I could wear makeup the next day. Each appointment will take about 30 minutes. It is very important to wear high SPF after the peels, to make sure your skin is fully protected from the sun. The most noticeable change was the change in texture of my skin. It felt and looked smoother and plumper immediately after each peel. The pores were visibly reduced as well, especially on and around my nose. After the 2nd peel, I started to notice light scars fading and after the 4th peel the darker scars started to disappear too. I was mostly concerned about scarring, so I am quite pleased with that. 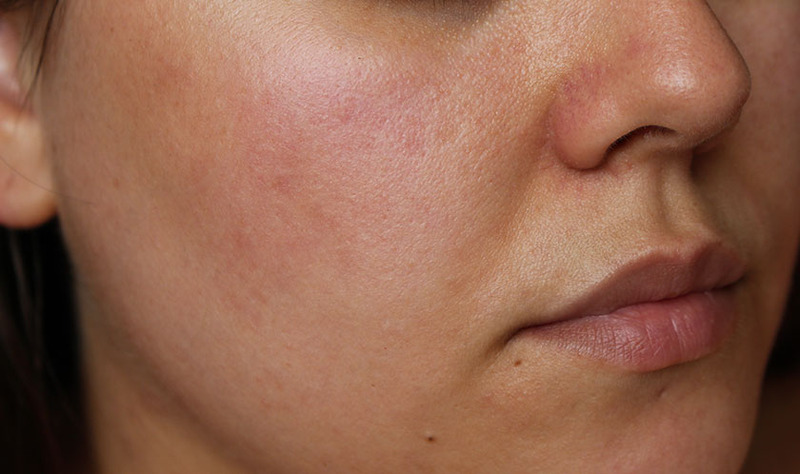 Any red/fresh spots would dry up much quicker as well, resulting in clearer looking skin. I also noticed that my t-zone became less oily. I was secretly hoping that the peels might prevent breakouts, but it didn't happen. I noticed that my skin looked much clearer after 3 peels, but two weeks after my last peel, my skin was back to the hormonal mess it was before. The texture of my skin was still nicer though and the scars faded dramatically. You can see on the 'after photo' that I still have many small breakouts on my cheeks, jawline and neck, but not as angry and red as before and a medium coverage foundation gave me flawless finish. Before, I was using a full coverage one. My skin about 30 minutes after my 3rd peel. Did the peels work for me? Yes and no. Due to my breakouts being mostly hormonal, I didn't get the clear skin I secretly hoped for. After the 3rd peel, my skin cleared up a lot, but about 2 weeks after my 4th peel I started getting A LOT of evil breakouts again, which meant that I couldn't really continue with the treatment. I knew that my issue was hormonal, so I can't complain about that. The reason why I refuse to take any pills to deal with it is because they increase the risk of some cancers etc. It's just my personal choice, because I am very careful about what I put into my body. I know that it is just a stage and it should pass once I am back to a healthy weight etc. I am 'lucky' to have the spots on areas easy to hide, so if I wear my hair down and do my makeup, you won't see a single spot. I am glad I tried the peels, because they reduced my scarring and speeded up the healing process massively, but because I keep getting new breakouts, I couldn't really appreciate the effects fully and had new scars and breakouts to deal with. As someone who is always anxious, I can't leave my face alone and start picking, which leads to spreading bacteria and scarring. Neverending cycle... :( Once my hormones are back to normal, I will probably go for a couple of peels again. If you have a hormonal issue, you will have to sort it out first, before you go for the peels. Otherwise it might be a waste of money. If you don't have many active breakouts and only have scarring or want to improve the texture of your skin and simply rejuvenate it before a big event, you will love the effects. Smoother, plumper skin, pores are reduced, scars and discolouration fade and any little blemishes heal quicker too. Your makeup will sit better as well. 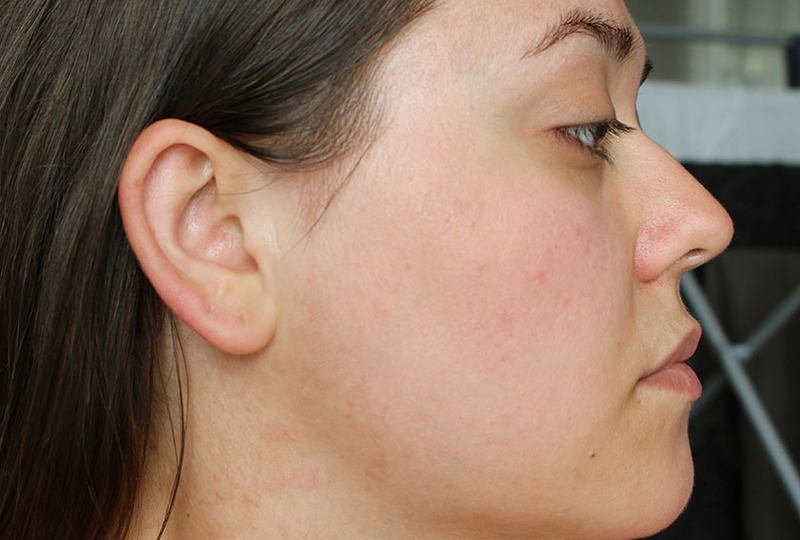 Even if your skin is naturally clear, you will notice a big difference right away. You can book a consultation for glycolic acid peels at your local sk:n clinic.